Western Massachusetts based Indie/Folk band Woodford Way is the brainchild of singer/songwriter Kyle Mangini and guitarist Jeff Lynch. Influenced heavily by James Taylor, Paul Simon, and Bob Dylan, Woodford Way blends narrative driven folk tunes with well-crafted pop gems that jump into the ears of listeners and tell a unique, individual, and compelling story that is all their own. Playing at various venues all over New England as a Duo, Woodford Way has already created a cult following that is spreading like wildfire throughout the Berkshire area. After recording their acoustic duo album “The Road”, Woodford Way enlisted the talents of producer/ bass player Eric Arena, Riley Godleski on drums, and Tim Lynch on percussion to fill out their sound. Recording their brand new yet to be titled album at Zing studios in Westfield, MA for the first time as a 5 piece folk act. This premiere lineup brings a new dynamic to Woodford Way, as it’s the first time they have had the chance to work with a producer on arranging and crafting the feel of their songs. “Having Eric and Riley on board really added so much to the band and kept me on my toes,” Kyle says about adding the new members. “This was something Woodford Way was looking to do for years… and it’s our best work to date”. 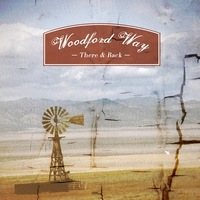 Woodford Way - "There & Back"